Many South African investors are taking another look at offshore diversification as they watch rand weakness and political developments – especially the forthcoming elections – with much trepidation. Faced with so many uncertainties and potential risk, there’s no doubt that now may be a good time to move part of your portfolio to safer havens…but yesterday would have been a much better time. Diversifying offshore should always form part of any investor’s long-term strategy; it should not only be resorted to in times of crisis or volatility. Doing the latter, could have dire consequences. 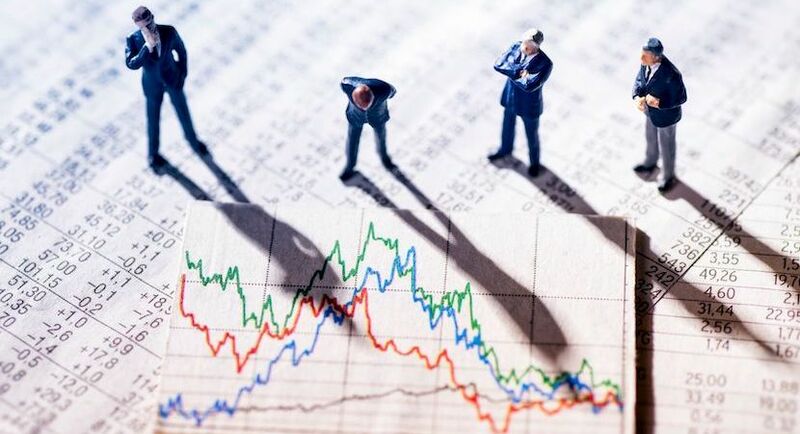 Apart from the present political uncertainty, there are other external factors such as various unknowns in the market that make the rand vulnerable. There is therefore a strong case to be made at present for boosting one’s offshore exposure, if you haven’t done so yet. But it should be stressed again: this should not be a kneejerk response that might end up exposing you to even more risk and in the longer term may not realise the kind of returns or security you may be hoping for. Many of us have a bad habit of waiting until turmoil or upsets shock us into waking up. But as a prudent investor you should have been diversified against such risk already long ago. I advise all my clients to view offshore investment on an ongoing basis as part of their normal long-term strategy, tailored to their particular needs and situation. And if your adviser has not done so, he or she has been sleeping on the job. Read also: Undecided about transferring money out of South Africa? Usually the markets anticipate, move on and price in the factors that cause uncertainty and risk well in advance – before it becomes the noise in the news that has investors running scared and to which they then want to react by going offshore. By then it may be too late to gain the best advantage. The prudent investor will not be caught napping by future shocks and changes, or future potential risks, but will already be diversified against them. Be wary of a one-size-fits-all approach. In South Africa offshore investment is generally badly marketed and products are sold as a kind of pay-as-you-go mobile phone solution. Everybody is offered the same solutions and the same funds, with no or little regard for the individual’s circumstances, risk appetite and risk capacity or goals. The products are also usually very expensive and heavily frontloaded with large fees. Once the decision to diversify has been made, an investor should analyse as with any other investment the appropriateness for his or her needs: What are you trying to achieve? What is the time period? What is your risk appetite? What is your risk tolerance and your capacity to absorb losses? When carefully considered, these factors will help you distil a lot of the noise around what’s available in the market and what may be appropriate for you as an individual investor. Your offshore strategy should always fit in and blend with your local strategy. It should take into account your existing exposure in terms of equities, bonds, property, commodities or cash. You should have a balanced portfolio, designed with a specific, clear target. Finding the right mix between investing local and offshore again depends on the circumstances and requirements of the individual investor. But as a rule of thumb, at Carrick we are comfortable with a split of two thirds offshore (consisting of long-term savings and some medium-term discretionary savings), and one third onshore (made up of the investor’s residential property plus local provident and retirement funds). Decide whether your strategy is about capital accumulation or capital protection, because that choice alone can send your investment journey in entirely different directions. Also decide in advance how liquid your investment needs to be. Finally, investors should only consider regulated investments. Establish if your adviser is regulated to give you the advice you are receiving and is regulated in the jurisdiction concerned. But most important of all: make offshore diversification part of your long-term strategy and not a kneejerk reaction. For more information or to assist you with your offshore investment strategy, contact Mike Fannin at [email protected]. Mike Fannin is the Managing Director: Home Office at Carrick Wealth in Cape Town. He has a wealth of experience as an offshore investment specialist and has in the course of over 20 years worked on almost every continent, including in the heart of London’s financial district. He advises ultra-high net worth clients, managing their portfolios and designing tax-efficient solutions for them. He is a founding member of Carrick Wealth, a registered South African financial services provider specialising in South African and international financial planning and integrated wealth management solutions. Carrick is also licensed in Zimbabwe, Botswana and Malawi, and holds three global licences in Mauritius. This article constitutes the personal views of Mike Fannin and is intended solely for information purposes and is not an offer, recommendation or solicitation to transact.